Alright, it's really not that bad. With the gift of the internet and some creative adventure, there are ways to try and make up for lost tastes, even if they are not exact. Pizza crust is just one of those things that serves as a perfect vehicle for the delivery of toppings. I like thin crusts with a bit of crispiness, and some cheese baked on the edges. 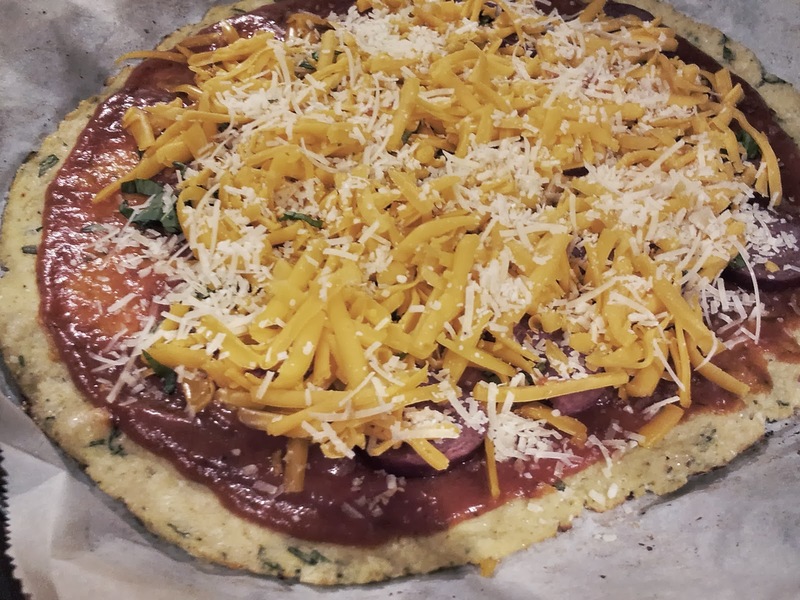 So, when I heard about the miracle of cauliflower pizza crust, I had to try it out. 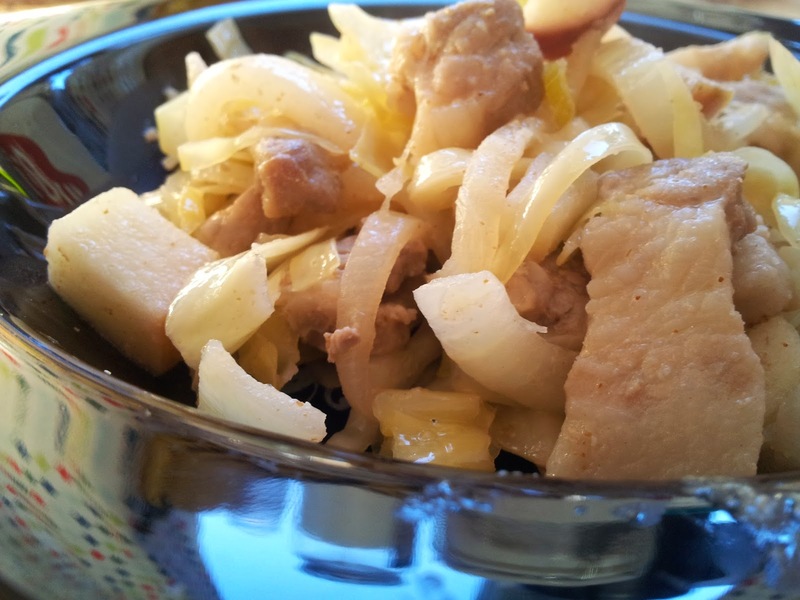 Cauliflower is a popular substitute for grain carbs; you can whip it like potatoes, or grind it into 'rice'. It can take on a lot of flavour, and if you manipulate it just right, it can mimic the texture of what you're trying to replace it with. Making a dough with it is a challenge, though, because it's full of water. After reviewing a number of trials, tribulations and successful outcomes, I worked on my own recipe and came up with a crust that works! 1. 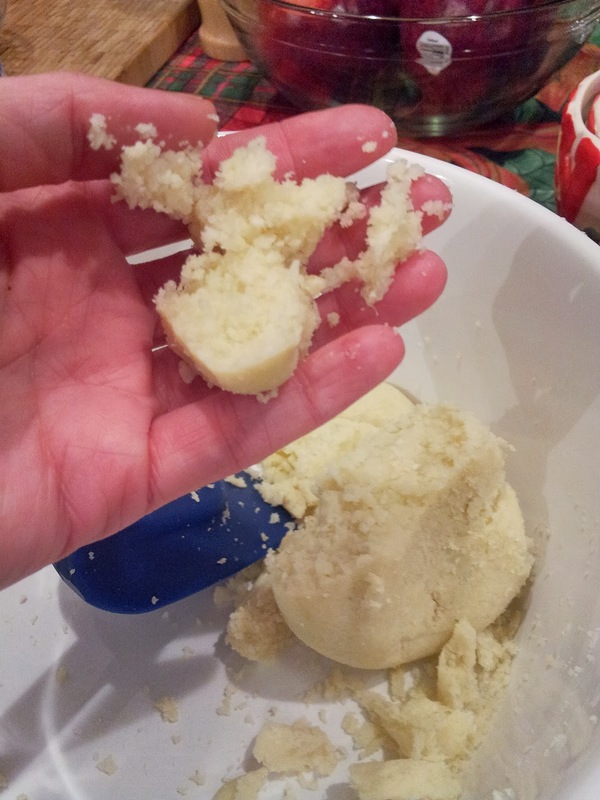 Pulse the raw cauliflower, with the stem removed, in a food processor. You want the cauliflower to look like the size of rice grains. 2. Heat the cauliflower in the microwave for about a minute on high or until the cauliflower is hot. Let it cool enough so you can handle it. 3. 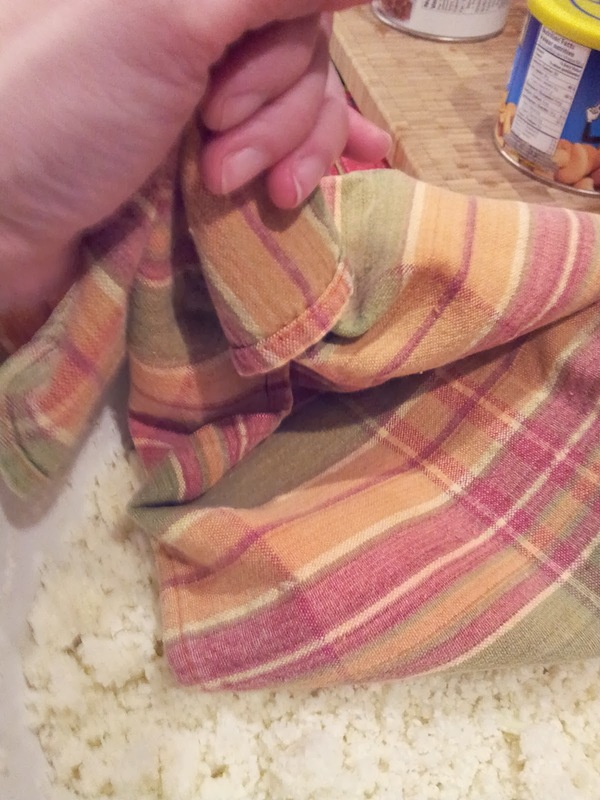 Grab a clean cloth dishtowel, or cheesecloth, and put the warmed cauliflower in it - wrap the towel around it, and keep twisting. 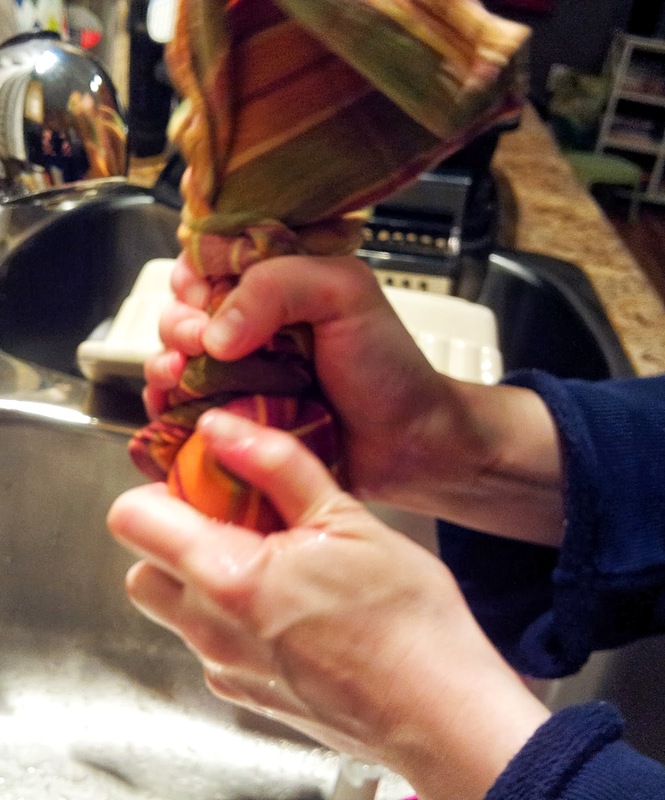 You are now squeezing as much water out of the cauliflower as you can. Squeeze, squeeze and keep squeezing the ever-loving sh*t right out of it. Your hands should be sore and protesting - keep on until you just can't anymore. Then squeeze a bit more. 4. 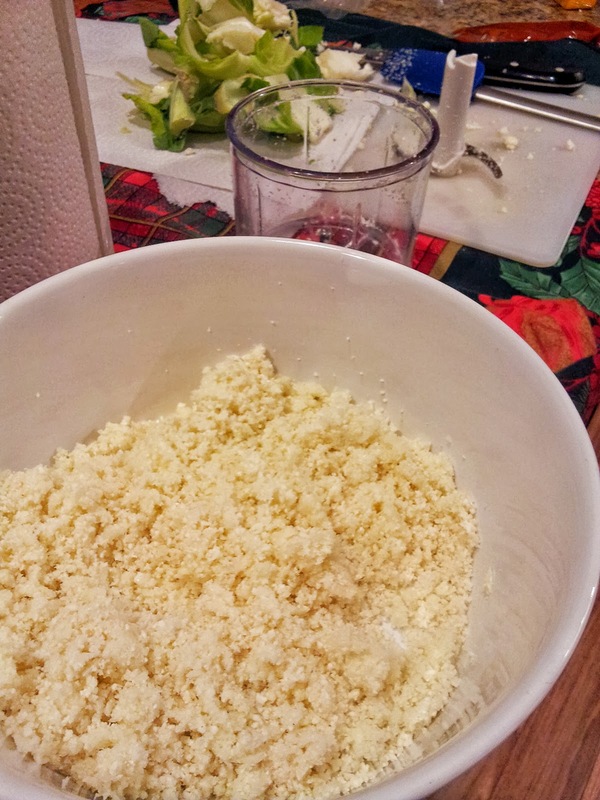 Place the cauliflower in a bowl, along with an egg, 1/2 cup of shredded parmesan cheese, 1 clove of minced garlic, and 1/2 tsp of salt. 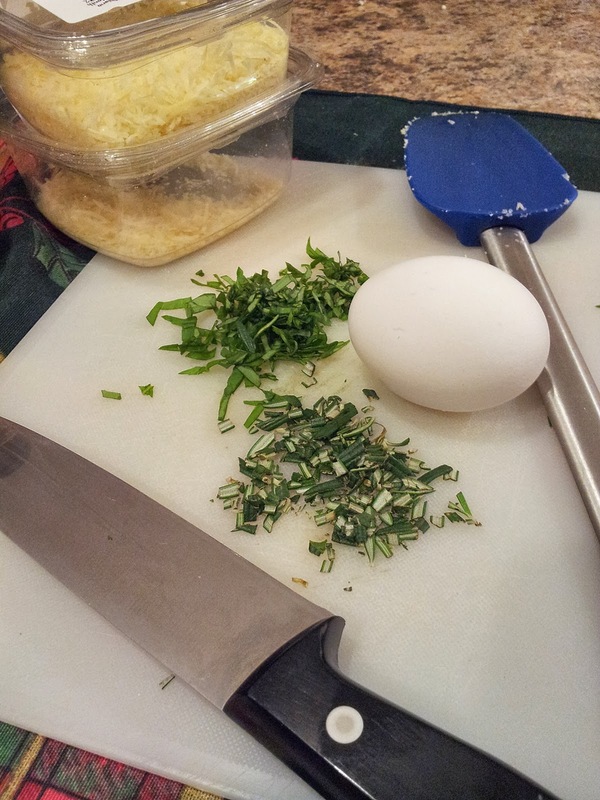 I also added some chopped rosemary and basil to up the flavour of the crust. 5. Mix all the ingredients by hand, and form into a ball. 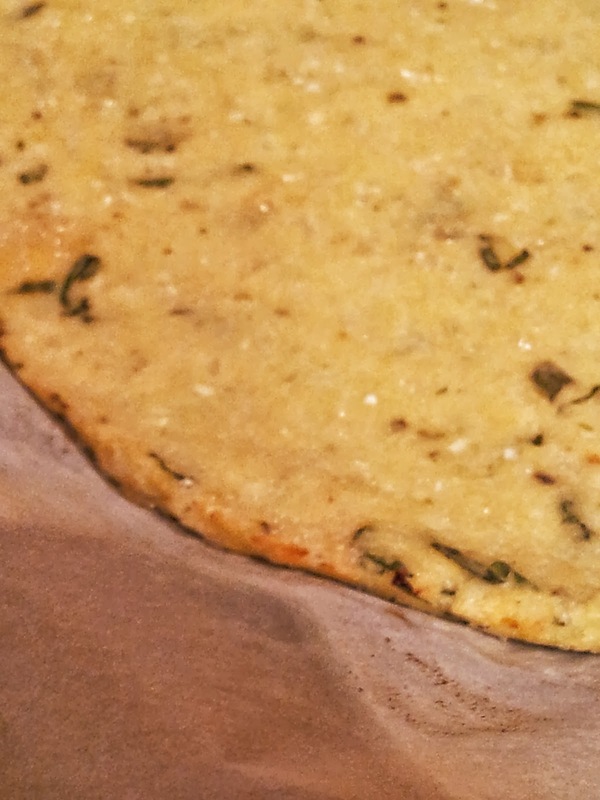 Roll out the dough into a flat pizza crust shape, place on a parchment-lined sheet pan, and bake in a pre-heated oven at 400F for about 10-12 minutes, or until browned. At this point, you have a crust! 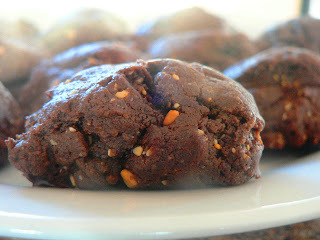 Now, you can top it however you like, and bake it in the oven for an additional 12 minutes. 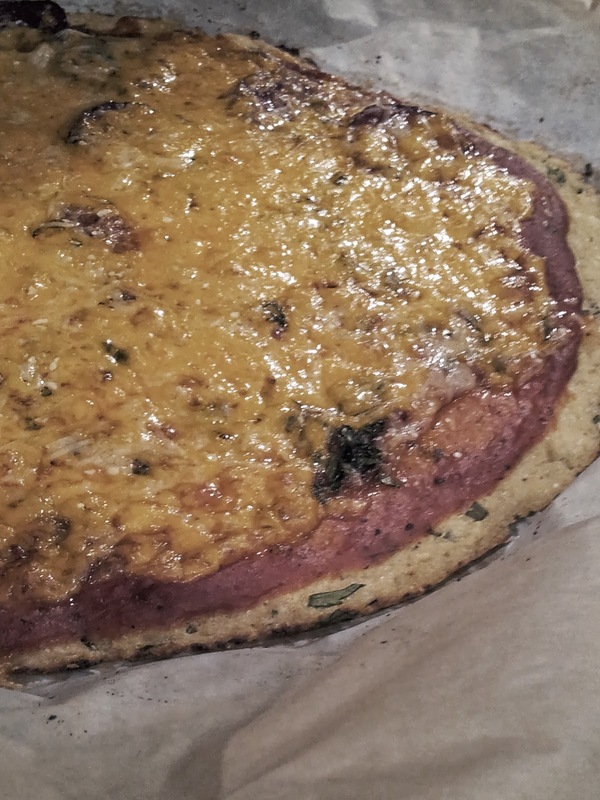 You may want to adjust the oven time according to how crunchy you want the crust to be. 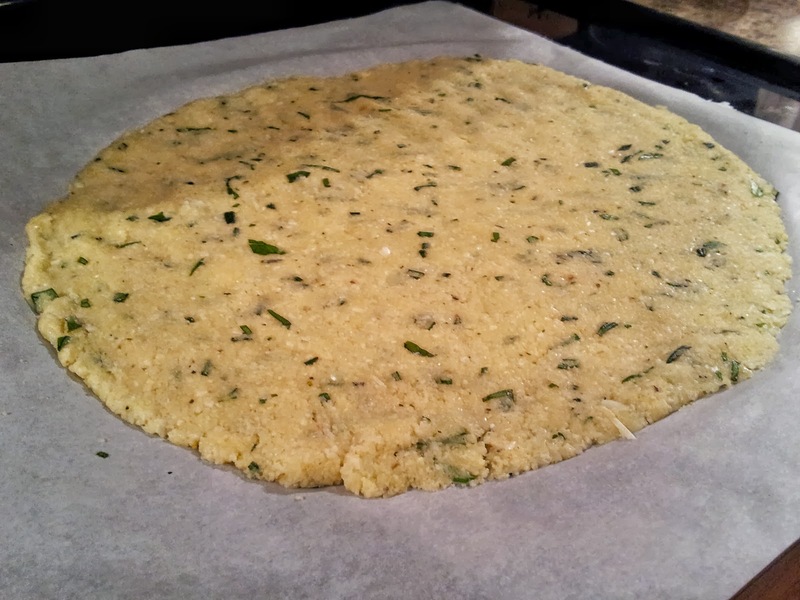 Overall, this is a unique and healthy approach to making a pizza crust. It's not going to replace a wheat crust, but as an alternative, it really offers delicious flavour and a good base for all the ingredients you love on a traditional pizza. I'd suggest making more than one - it will go fast! I am going to try and make this! It looks delicious.